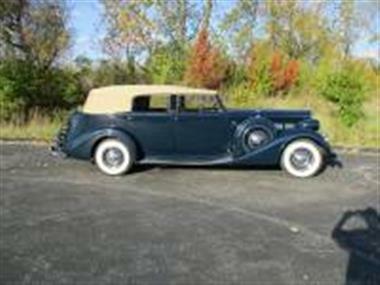 1937 Packard Other in Bedford Heights, OH for sale. 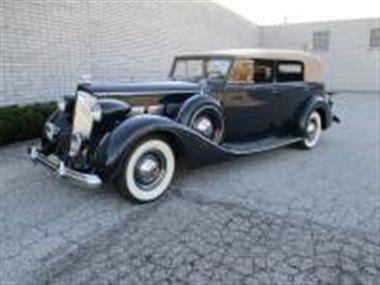 Many consider Packardandrsquo;s Super Eight and Twelve cars from the mid to late thirties to be the finest automobiles ever produced by the Packard Motor Car Company. 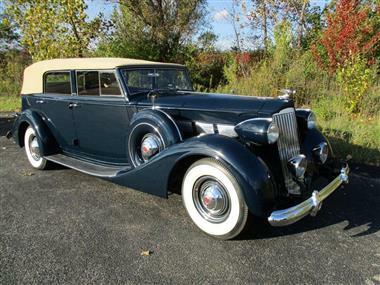 Certainly it is true that the senior cars represented the end of an era andndash; never again would Packard offer the exceptional quality of a hand built senior car.<br /><br />An extensive redesign for 1935 offered major improvements in these top-of-the-line Packards. Updates included more horsepower and improvements in suspension and steering that made the cars easier and more comfortable to drive. 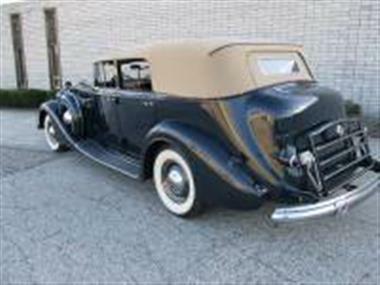 All new bodies introduced true envelope styling - for the first time the car was designed as a whole, with body, hood, fenders, and running boards integrated into a smoothly executed design, regarded as one of the most attractive bodies of the era.<br /><br />1937 marked the first major update to the new senior cars. Most important was the addition of independent front suspension andndash; a modern system utilizing wishbones and coil springs. The results were dramatic, with lighter steering, a more supple ride, and better road holding. The second major change was the adoption of hydraulic brakes, a more reliable system that proved much easier to maintain in peak operating condition.<br /><br />By 1937, the era of the true coach built car was largely finished. Decreasing demand due to the lingering effects of the Depression combined with the increasing quality and stylishness of factory coachwork dramatically reduced the business available to independent coachbuilders. As a result, most had closed or moved on to other businesses. 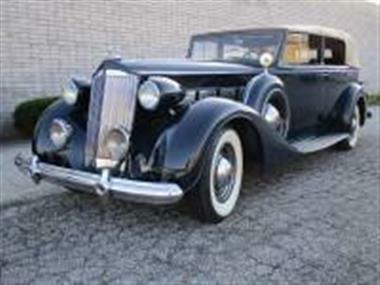 A handful of coachbuilders remained, but their results were no less spectacular.</p><p></p><p>This Dietrich-bodied car was originally owned by John Wannamaker of Philadelphia department store fame, as evidenced by a copy of the original title (included with the car). It underwent a frame on restoration 12 years ago, but has been meticulously maintained over the years, and only driven just over 7,000 miles since. 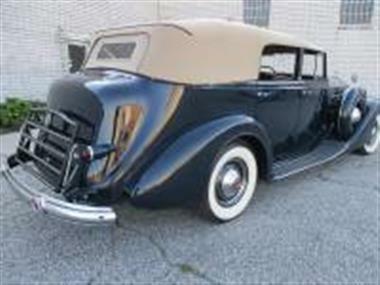 A photo album of the entire restoration is available with the car. A new canvas top, floor carpets and trunk carpet were recently installed by the well known trimmers, the Sharp Brothers. 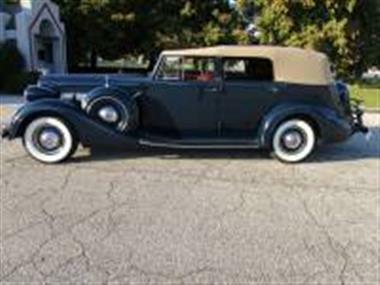 It is in excellent condition and drives very smoothly down the road. This car will reach 70 mph effortlessly, with no road noise whatsoever. In 2014 this car won its Senior Status (badge # 3160) at the Ohio Grand Classic CCCA meet where it scored 98.25 points. This model has a downdraft carburetor, servo sealed hydraulic brakes and a synchronized 3 speed transmission. 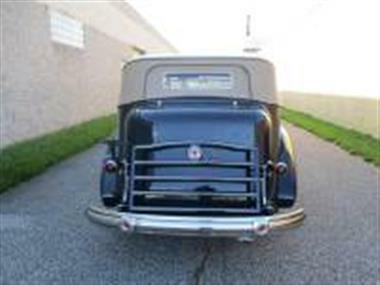 This car is perfect for any CCCA Caravan or for winning that coveted award at a local or national meet.